An interpersonal conflict can be complicated. Its resolution doesn’t have to be. 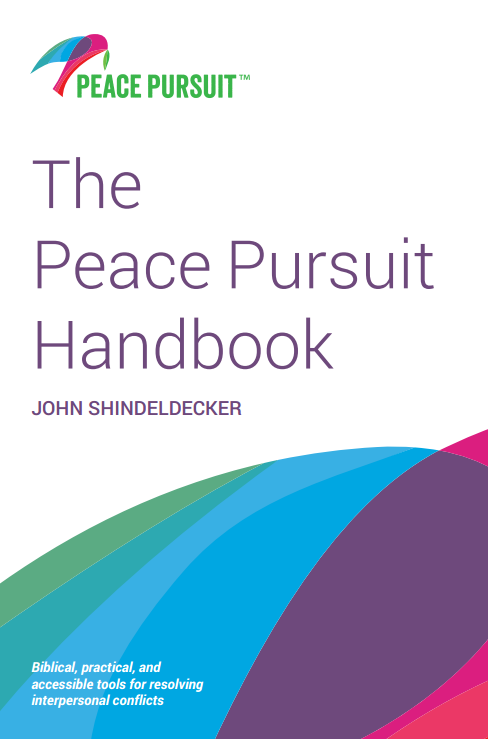 Join our email list to get occasional updates from Peace Pursuit. Unless otherwise marked, Scripture quotations are from the Holy Bible, English Standard Version (ESV), copyright ©2001 by Crossway Bibles, a publishing ministry of Good News Publishers. Used by permission. All rights reserved. Scripture quotations marked NASB are taken from the NEW AMERICAN STANDARD BIBLE®, Copyright ©1960, 1962, 1963, 1968, 1971, 1972, 1973, 1975, 1977, 1995 by The Lockman Foundation. Used by permission.